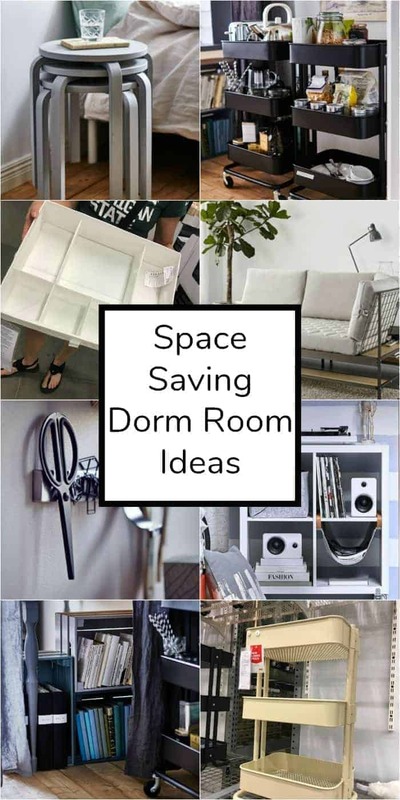 Heading off to college and looking to make the most out of your dorm room space? 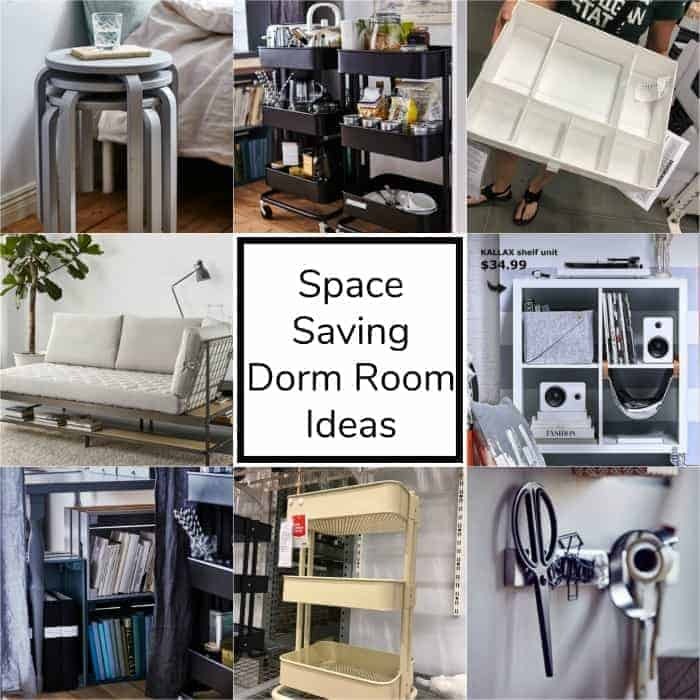 These space saving dorm room ideas will not only maximize your dorm room space, but will make it feel like a true home away from home! College dorm rooms are like an empty box just waiting to be transformed! You may not have a ton of space in your dorm room, but with the right products and a little imagination you can create a great space that is conducive for studying and will show off your personality and style! 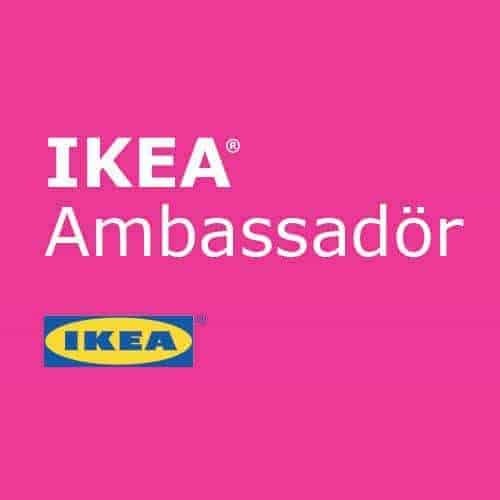 I am very proud and excited to partner with Ikea and serve as one of their Brand Ambassadors! Be sure to read all of the way to the bottom to hear about our exciting giveaway! I am the parent of an incoming college freshman. Sending your child off to school is a dream of almost every parent. A great education is a gift that we all want for our children, but at the same time, it is so hard to let go and watch them leave. 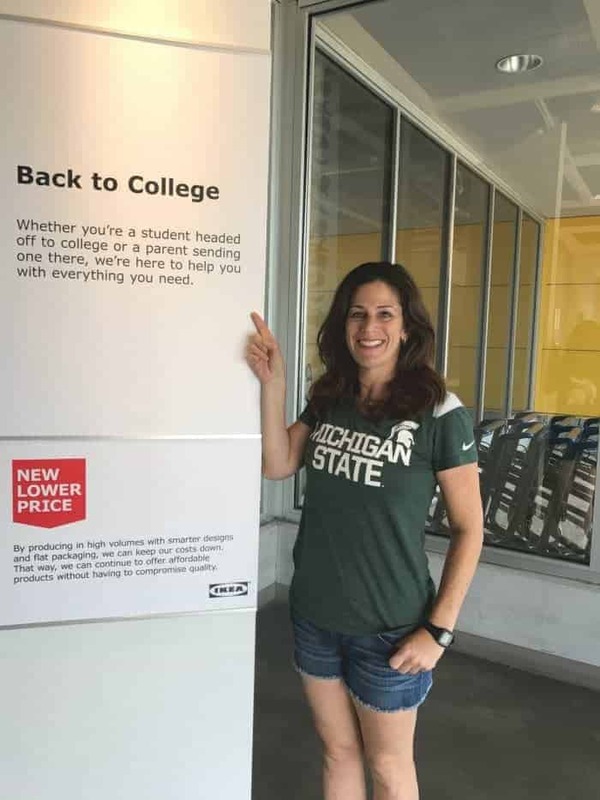 As a parent, I want to set my son up to be successful in this new life away from home, but honestly, I didn’t know where to start in helping him prepare for packing up and moving up to school. 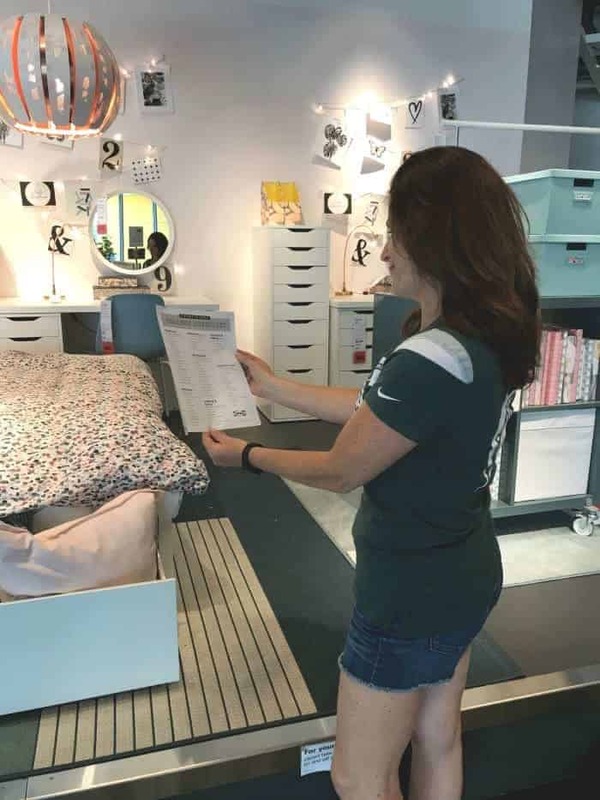 I was so excited when IKEA asked me to partner with them to develop a guide that shares some Space Saving Dorm Room Ideas using some of their great products. What I love about IKEA is not only is everything so affordable, but I love their style and innovation. 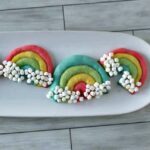 They show you great ways to use their products that you would never think of! Now, if you have kids of any age, you know generally whenever you go shopping for them, you always pick out the wrong thing. 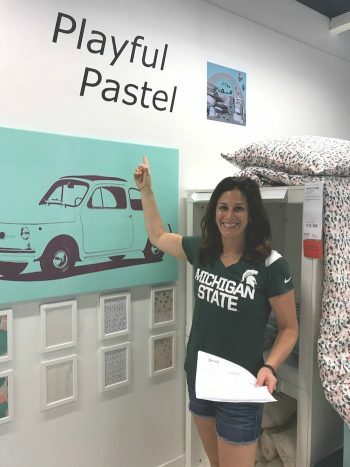 So I saw that IKEA had a “Determine Your Dorm Room Style” quiz to take to determine what your college dorm room style is! Hallelujah!! So, my friend, Julie, and I had our kids take the quiz. My son, Jake, got Rustic and Adventurous and my friend’s daughter got Playful Pastel. This made it so easy to help get an idea of what type of bedding and accessories Jake would want for his room! Would you believe that when I showed him the bedding I picked out, when he came home for his day off, I got an “Awesome. That is perfect!” I just about fell over! SCORE for the IKEA Find your Sytle Quiz!! One of my favorite things to do is walk around IKEA and see how they layout rooms. They are so creative and innovative. I would never, ever think of any of these great uses for products that they do. I love how they SHOW you different ways to use their products! I swear I want one of their designers to come over to my house and help me decorate! Here are a few of the items we found (and purchased) for our kids rooms! I cannot wait to get them up there and try these products out! I love these KNAGGLIG boxes! They are so versatile. You can paint them any color to match your decor and you can stack them so they take up very little space! Floor space is so limited, these carts go vertical so that your space is tripled! 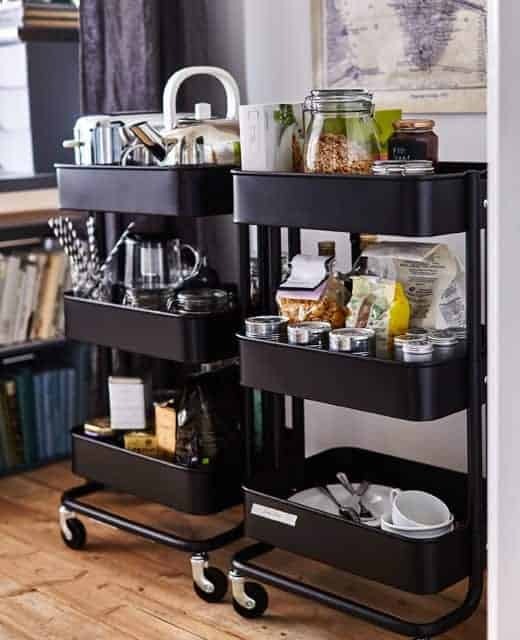 These RASKOG carts come in different colors and are on wheels too, so you can easily move them wherever you have space. I love finding new uses for things! This is such a great way to repurpose a magnetic knife rack! 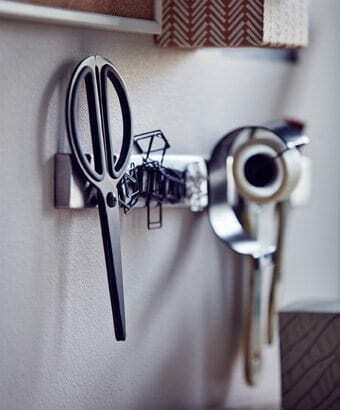 Perfect for next to a desk – use the magnetic rack for other magnetic items like scissors, paper clips and more! A futon is perfect for a dorm room or any small space. You get the best of both worlds! Extra seating and space should you have an unexpected guest spending the night! 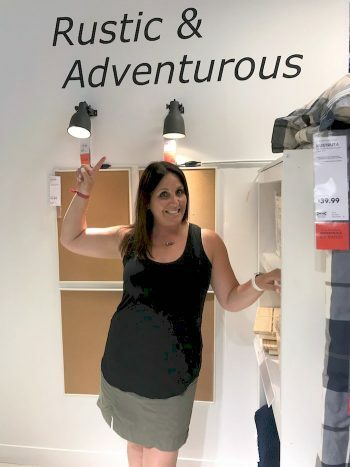 IKEA has a ton of options in all price ranges (see here). I particularly love this one, the EKEBOL It has some great extra storage space underneath and even a shelf around the back. However, we are going for the BALKARP version, which is both economical and efficient, given our budget and my sons tendency to eat pizza and soda on the couch. A busy college lifestyle requires furniture that’s just as flexible. Check out all of these great ideas for small spaces like a dorm room! 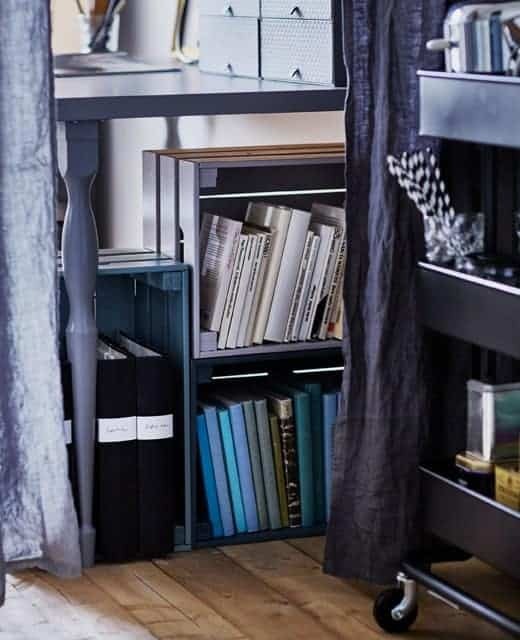 The KALLAX shelf unit can be used as a bookcase, a bedside table or a storage unit. 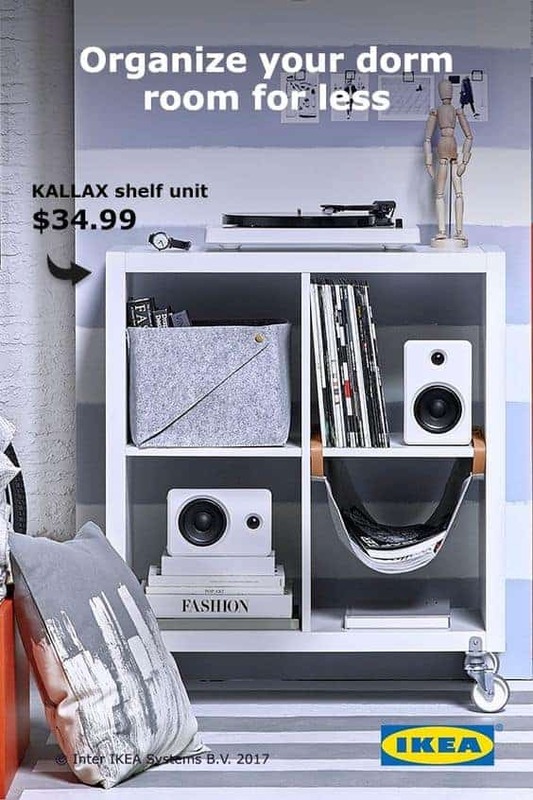 Add the KALLAX hanging organizer to hold small accessories and easily-lost items like keys and ID cards. 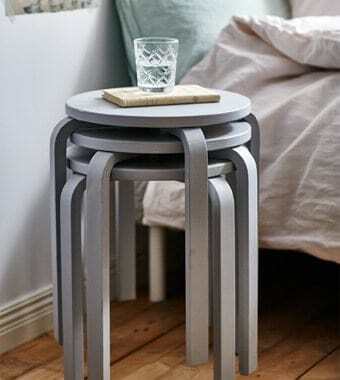 Nesting tables are great for small spaces. Just unstack them when you have friends over and stack them back up when they leave! 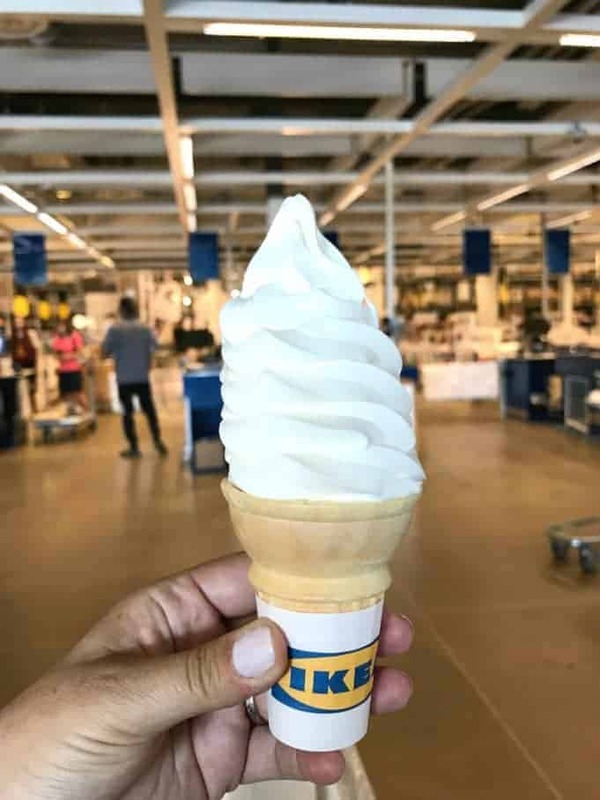 Now, of course, after a successful IKEA shopping trip, you must reward yourself with none other than their famous $1 ice cream! No better way to celebrate! 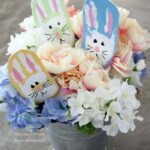 I want to share in this special time with my readers! Sending a child off to school is one of the most special moments in my life. No matter what age your kids may be, there are so many special and important milestones and moments. Tell me about one of YOUR special moments (in the comments below) either with your child or in your life and what it meant to you for the chance to win one of THREE $100 IKEA gift cards. Just leave me a comment below and I will be choosing 3 winners, each for a $100 gift card to IKEA. Winners will be chosen on August 15, 2017 and will be notified by email. They will have 24 hours to reply or an alternate will be chosen. Disclosure – I am a Brand Ambassador for IKEA U.S. This is a sponsored post. IKEA is a registered trademark of Inter IKEA Systems B.V. and is used with permission. The views, ideas and opinions expressed here are my own. Pregnant w/#2 and trying to organize our tiny apartment. These dorm hacks may actually help some! Plan to get there very soon to get this room looking awesome!! My most touching memories of my dear daughter have come very recently as I have watched how compassionately she deals with her Dad, who at 55, was diagnosed with a very aggressive form of early onset dementia. It has been like an asteroid hitting our little family of three. As an only child, my daughter was very close to her dad who drove her to school every day, made her lunches and never missed a swim practice or meet. He was diagnosed last July and in a nursing home by November. The doctors told us he would probably not know our names by the time she graduated in spring but we were blessed that he did and it meant the world to her. For her senior year, which should have been wall to wall fun, my daughter took on two part time jobs in addition to school as well as visiting her Dad religiously at the nursing home—putting aside her own pain and helping him navigate whatever task he needed help with. Through hard work and multiple blessings, she will actually be able to attend college this fall (once we lost his income, college seemed like a dream that would not be realized). This gift certificate would get her so much of the storage she could really use for her dorm room as we still have not been able to get everything she needs. We would be forever grateful to be chosen as one of the winners. We’re very lucky to have an IKEA in the Phoenix area! I’ve bought things there for my sewing room, and am always interested in finding things for the Grandkids’ rooms, and granddaughter’s dorm room. My new catalog came a couple weeks ago and we already have several items marked in anticipation of the next shopping trip! A gift card would be great! OMG what great ideas! I’ll definitely use them!